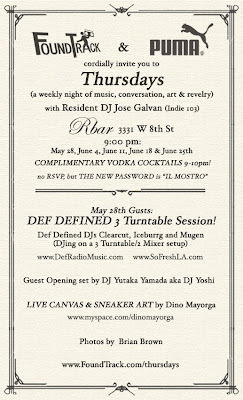 FoundTrack - Culture Blog, Events & Music Compilations: THIS THURSDAY May 28th FoundTrack x Puma x DEF DEFINED DJs @ R-Bar !!! 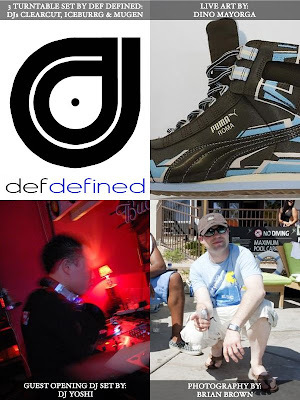 THIS THURSDAY May 28th FoundTrack x Puma x DEF DEFINED DJs @ R-Bar !!! FoundTrack, our friends at Puma, and special guest co-hosts DEF DEFINED cordially invite you to our weekly Thursday evening of revelry at our favorite under-the-radar venue, R-Bar- This week DEF DEFINED DJs Clearcut, Iceburrg and Mugen are going to be cutting it up on a crazy 3 turntable 2 mixer setup!... 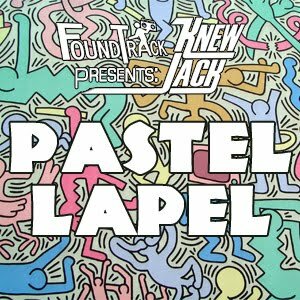 see below for all sorts of fun details. Our hope with this new weekly event is to create a laid back night that's focused on sharing good music and good creative energy. 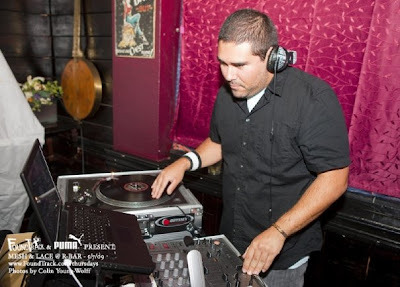 Expect fantastic eclectic tunes courtesy of our resident selector, Indie 103's DJ Jose Galvan, and a host of unique guest DJs each week. 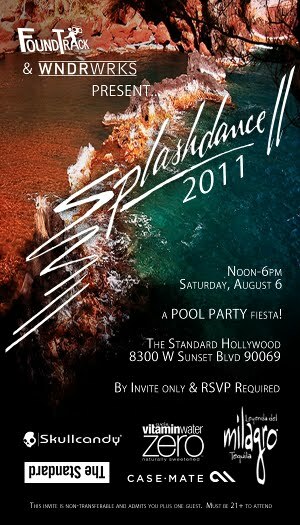 As of now, no RSVP will be needed, but make sure you remember THE NEW PASSWORD IS "IL MOSTRO" ! Feel free to share this info with friends, family and fellow down to earth folks! 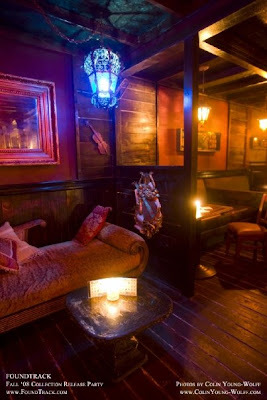 Our lady friends at R-bar will be providing COMPLIMENTARY VODKA COCKTAILS 9-10pm to assist in getting everyone loosened up for the night ahead! As always... Thursdays are DOPE!!! Looking forward to the pictures. 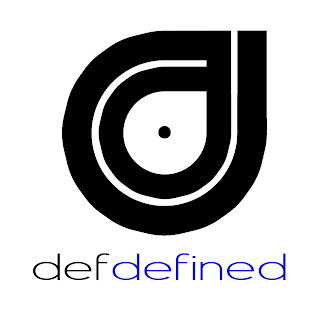 Def Defined DJs & Foundtracks really did it.